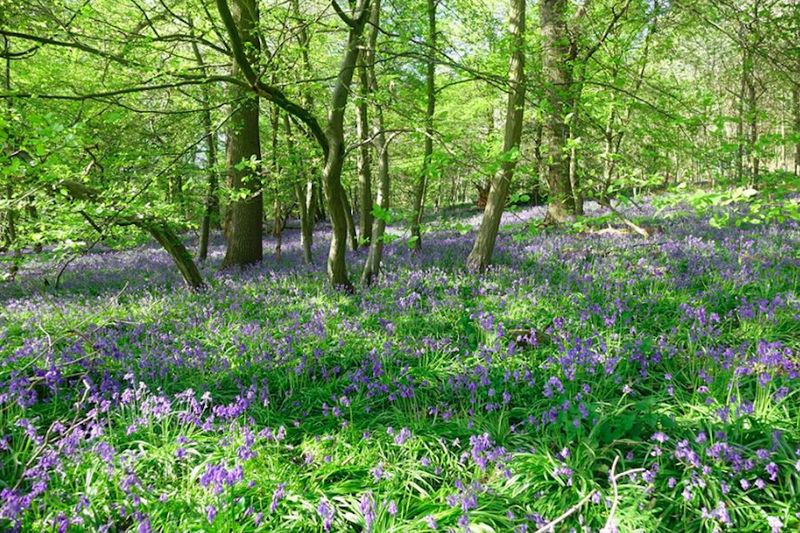 We reckon bluebell season is one of the natural highlights of the English calendar - don't you agree? Woods and glades will be awash with vibrant colour over the next few weeks, so we've narrowed down the best local spots to see them in all their glory. This new forest has had a whopping 600,000 trees planted amongst pockets of ancient woodland and has become one of the Woodland Trust’s most popular sites. 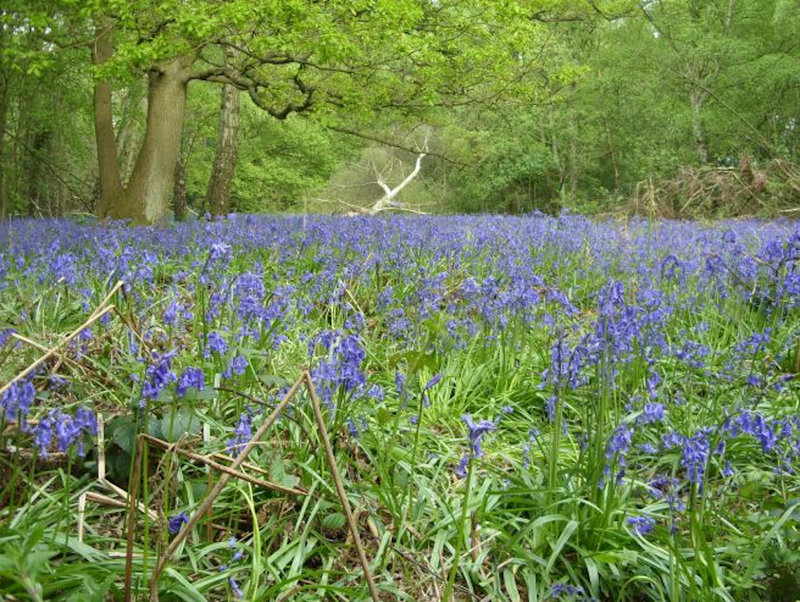 There are 12 entrances to the forest but head to Langley Wood to see the best bluebell displays. Pit stop: Call in for a cuppa and a slice of cake at the Heartwood Tea Rooms or The Potting Shed, before picking up some farm shop produce and plants at Carpenter’s Nursery and Farm Shop to take home. These 200 acres of volunteer-managed woodland are buzzing with wildlife amongst the ancient oak and hornbeam trees – so old is the wood in fact, that it is mentioned in the Domesday Book! Go your own way or take part in one of the warden-guided walks, where you can learn more about the history of the woods and the seasonal changes. Pit stop: All that walking worked up an appetite? Stop off at The White Hart, Welwyn for a bite to eat. This gorgeous shady wood is awash with bluebells and wild garlic in the spring. It’s part of a nature reserve which combines a traditional village orchard. The fruit trees produce local varieties of apples and pears which attract a colourful array of birdlife so bring the binoculars. On that note, wildlife enthusiasts can book an evening of animal spotting, where you’ll get a chance to spy on foxes, owls and the resident badgers who have a sett on the site. Pit stop: Book in for afternoon tea at The Cow Shed, Tewin Bury Farm. Ok, so this one’s just over the Herts border in Bucks, but it’s one of my local faves. As well as the lovely walking trails, (where you can spot the bluebells, of course) there’s loads to keep the children occupied, from the Zog activity trail for little ones, to Go Ape for bigger kids. Plus there’s a mega re-development going on with a brand new café due to open soon. Pit stop: Rumsey’s chocolaterie is a real treat – order a seriously indulgent hot choccy and watch the chocolate makers whipping up delicious creations through the viewing window. Dockey Wood is the best bluebell viewing spot on the estate and there’s a small charge to visit (National Trust members go free), but the money goes towards protecting the bluebells. It can get very busy here at peak times though, so try the free Old Copse walk to avoid the crowds, or pick up a bluebell walks guide from the visitor centre which will highlight the best places to go. 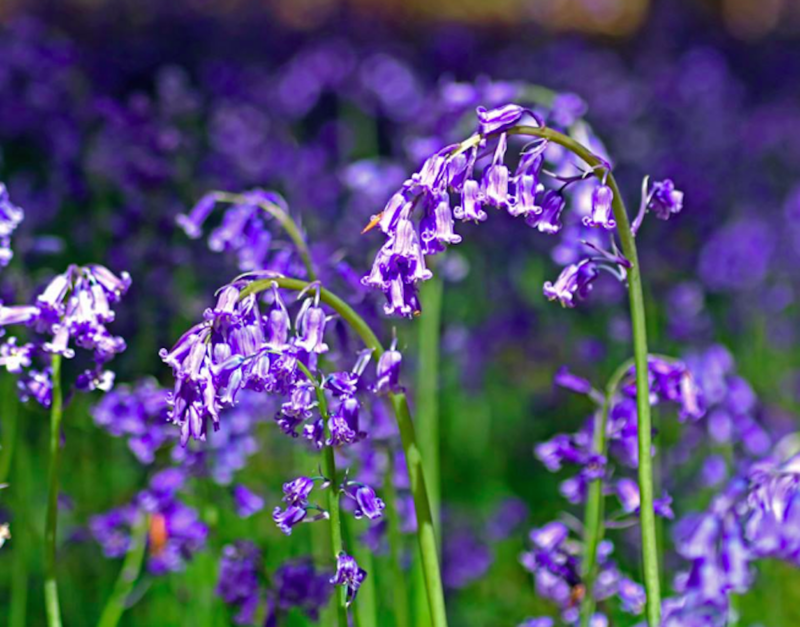 Check out the website’s bluebell watch too to help you find the peak time to catch them. Pit stop: The Alford Arms in Frithsden is the perfect stop off for some refreshment, and muddy boots and dogs are welcome, too. While there are fab displays here, the woods aren’t extensive. You can take this in as part of a longer jaunt though. There’s a circular walk from Whipsnade Heath (park the car here) via Dunstable Downs. You can also check out the Whipsnade Tree Cathedral en route. Pit stop: Pop into The Bell in nearby Studham for a pint or a bite to eat. It was named the Best Pub in Bedfordshire last year – let us know if you agree! 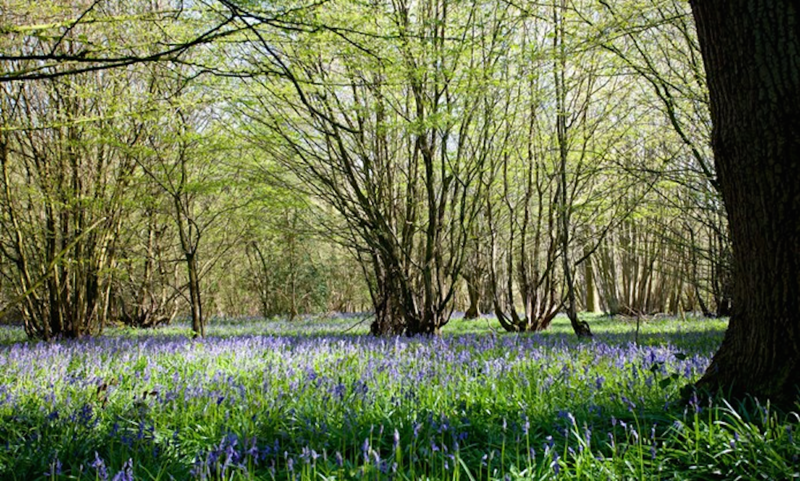 Follow the footpath from Cassiobury Park across the West Herts Golf Club to find this pretty woodland spot, where bluebells fill the old WWII bomb craters – call me soppy but it seems like nature’s tribute to the fallen. The annual Watford 10k passes through here on the early May Bank Holiday (best avoided if you’re after a quiet walk!) and is often called the ‘bluebell run’. Pit stop: Ok, not a pitstop as such, but there’s masses to do at Cassiobury Park itself, with play areas for the kids and a miniature railway, as well as a Cassiobury Farm, home to some exotic creatures and a farm shop. Dating back to the 1600s (they think! ), this really is an ancient woodland and it’s very well known for its little blue visitors in May. There’s a circular walk around the wood itself, or you can cut across the woodland glade, where you’re likely to spot some pretty pink anenmones, too. If you’re coming by train, why not take the short walk from the station along the river, or there’s a car park just south of the woods. Pit stop: Jacoby’s Tavern and Kitchen – a traditional pub which has been zhuzh’d up with funky décor and a tasty menu. You’ll find more ancient woodlands here with bluebells aplenty as well as wood anemones, plus the remnants of some 18th century pleasure gardens. Pit stop: Pretty pub The Old Manor has the best beams you’ve ever seen… oh and you can get some proper pub classics there, too. This RSPB nature reserve hosts loads of events through the year for families and wannabe Kate Humbles (she’s a bit more glam than Bill Oddie, right?) It’s made up of heathland and ancient woodland, which are the perfect habitats for little birdies – of which there are many to spot – and the latter, of course, for bluebells. Listen carefully and you might even detect the drumming of a resident woodpecker in the trees. Pit stop: Check in to the Coach House in Potten – an 18th century coaching inn with a fab menu and they have some super stylish rooms, too, if you fancy a cheeky overnighter. Part of the largest area of deciduous woodland in Bedfordshire, you’ll find primroses and lily-of-the-valley dotted between the swathes of bluebells on this 15th century site, as well as seasonal ponds, the occasional woodpecker and a flurry of butterflies darting amongst the flowers. Sounds rather idyllic, doesn’t it? Pit stop: The Old Red Lion in the pretty village of Great Brickhill boasts THE best views and it’s dog friendly too, so you can bring along your pooch post walkies. Once a privately owned estate, this now Grade II* park and garden opened to the public just five years ago. 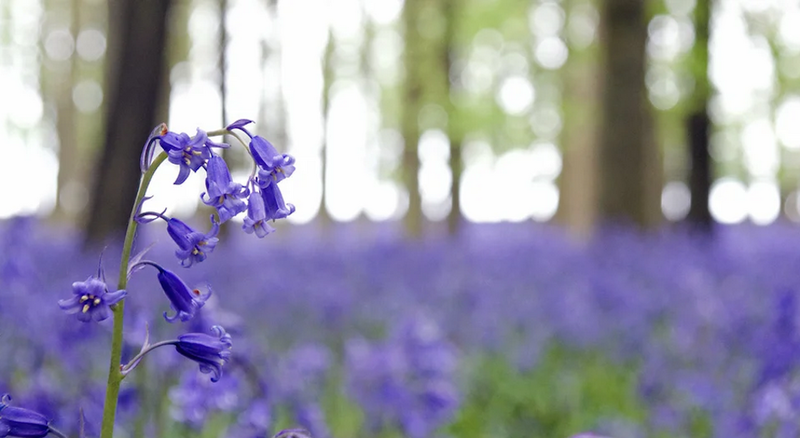 There’s loads to explore here including remnants of the old estate, as well as wetland and grassland habitats, but it’s at Lady Hughes’ Woods that you’ll find the best bluebell displays. Pit stop: Enjoy some local fare at the re-vamped country tavern, The White Horse in the village of Hertingfordbury, which creates its menus around the ‘Herts Larder’ – food sourced from local farmers and artisan producers.